Remarkable Rocks in Flinders Chase National Park, located at the west end of Kangaroo Island, Australia, is island’s signature landmarks. These rocks are the remains of an igneous intrusion that has since been weathered down into an array of bizarre boulders, sculpted by wind and rain over the course of many thousands of years. Continuous wind erosion in a relatively dry climate can result in such bizarre shapes. Baishuitai, also known as the White Water Terraces, is located in the foothills of the Haba Snow Mountains, 101 kilometers southeast of the Shangri-la County in China. The spring water runs down along the slope of the mountain, leaving an impression of a large white jade carving among the green mountain. The variegated land form of the tableland is a continual deposition of calcium carbonate that is contained in the spring water. Every year, the surface of the land is covered by the deposition and finally transformed into the terraced structure you see today. Kaieteur Falls is a waterfall on the Potaro River in Kaieteur National Park, Guyana. 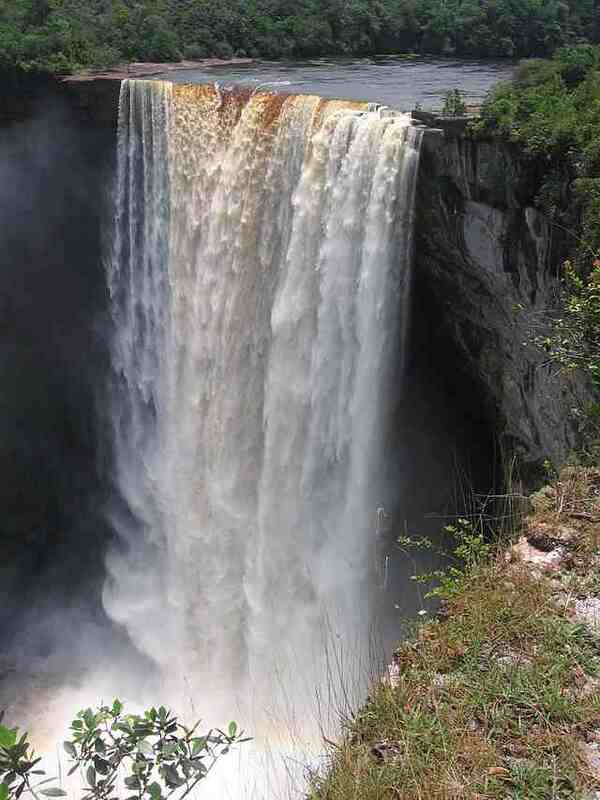 The world’s largest single drop water falls measuring 741 feet. For comparison, Kaieteur is about five times taller than Niagara falls. These rare primate-esque flowers are formally known as Dracula simia. They only grow in the cloud forests of southeastern Ecuador and Peru at elevations of 1,000-2,000 meters on the side of mountains. In the scientific name, “simia” refers to the monkey face and “Dracula” refers to the two long spurs that hang down, almost like fangs.